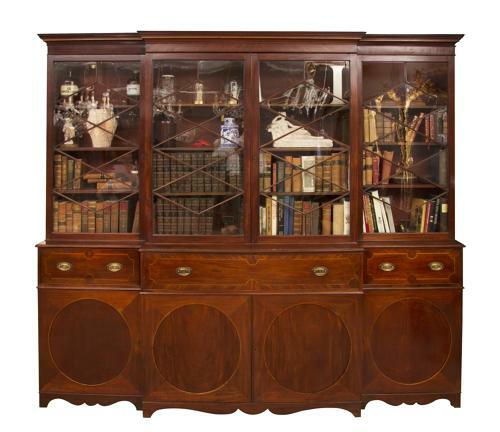 A George III Mahogany breakfront secretaire bookcase.A wonderful Georgian bookcase with the original patina ,colour and tone you would want.A really lovely piece proportionally correct so stands well.Viewed in Kirsty Bertarellis' house in Central London. Safe and reliable FREE UK delivery * See our testimonials to see what people say about us * Structural restorations are carried out using traditional methods and materials. Minerva Antiques promise safe, reliable and FREE delivery to anywhere in mainland UK.